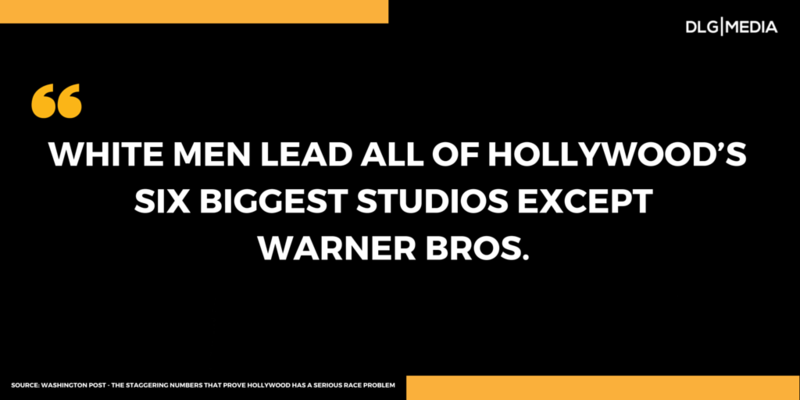 We’ve all heard about #OscarsSoWhite controversy – but it is not only about the Oscars being white and diverse actors not having opportunities. It’s also about $$$ –budgets. Black stories are American stories, so why isn’t Hollywood funding them? African-American movies, even the ones that do really well, such as Selma and 12 Years a Slave, have extremely low budgets. Birth of a Nation, a film that was presented at Sundance in 2016 (the story of a Nat Turner, an African-American slave who led a slave rebellion in 1831) had a budget of $10 million. In my research I found that none of the 10 films I highlighted had budgets over $40 million, and even that was an anomaly, the only movie at $40 million was 42, the story of Jackie Robinson. Oscar-winner 12 Years a Slave had only a $20 million budget and went on to gross over $180 million worldwide. It is worth highlighting the difference in budgets that year for Oscar nominees: American Hustle had a $40 million budget, Captain Phillips had a $55 million budget, Gravity had a budget of $100 million, just to name a few. Even when a White, successful person brings forth a project, it is met with resistance. George Lucas of Indiana Jones and Star Wars fame had a difficult time getting a green light to make the movie “Red Tails” a movie about the Tuskegee Airmen, with an all-Black cast. Why aren’t the big Hollywood studios supporting and financing stories with Black stories, Black characters? The African-American experience is part of the American experience. Diversity, as Viola Davis recently stated, “is not a trending topic.” It’s part of the fabric of our country. In 2016 and it’s time for Hollywood to realize that Black, Hispanic, and Asian stories are American stories— Multicultural America is the reality and the movies need to reflect that reality. Hollywood needs to invest in Multicultural stories.